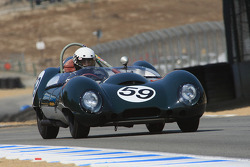 Mick, son of seven-time Formula 1 champion Michael, set a 1m24.028s after chipping away at his laptime time over the course of the morning session. Like the other two days, the second half of the morning and the whole afternoon session was dedicated to long runs, meaning the times from the morning stood. 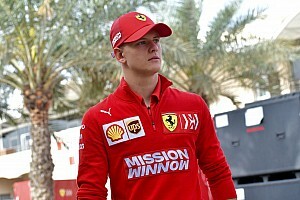 Jack Aitken, recently confirmed as a Renault F1 test driver once more, set the second fastest time for his new team Campos, 0.218s adrift of Schumacher. 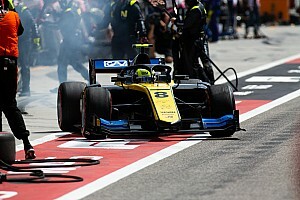 Carlin's Louis Deletraz – switching from the Charouz team for 2019 to last year's teams' champion – had usurped Schumacher earlier in the morning session, but then lost out as the German improved. 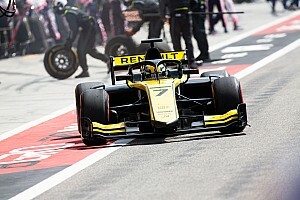 Williams F1 reserve and DAMS driver Nicholas Latifi, and the fastest man during day one and two, ART Grand Prix's Nyck de Vries, sealed the top five. Just over six tenths split the top 10 in a frantic morning session, with Aitken's Campos teammate Dorian Boccolacci taking the sixth fastest time after topping Wednesday's afternoon session. Giuliano Alesi took seventh for Trident, his running halted just before the end of the afternoon session as his car stopped on track. Virtuosi Racing's Luca Ghiotto, second on day two, took seventh. 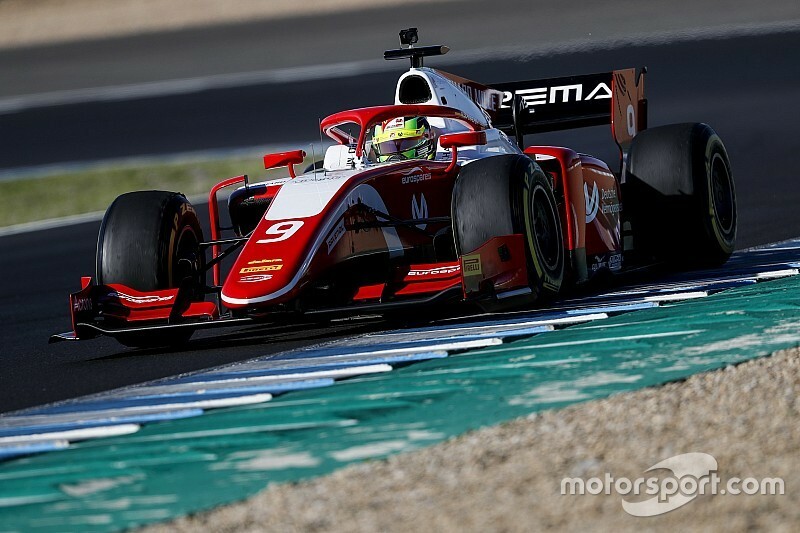 Sean Gelael (Prema), who ground to a halt after an hour gone in the morning, and MP Motorsport's Richard Verschoor rounded out the top 10. Jordan King managed to return after a mechanical issue kept him out of Wednesday's running and sat 17th, one spot behind Antonio Fuoco, who continued in the Trident car he took over on Wednesday from Ralph Boschung. The two Arden drivers rounded out the order with GP3 champion Anthoine Hubert ahead of Tatiana Calderon.